There is a certain irony to a Canadian-based baseball franchise showing its American counterparts how to build a competitive Major League Baseball franchise from scratch. However, that is exactly what the Blue Jays did from the moment Toronto was awarded a team for the 1977 season. The Blue Jays debuted in frigid Exhibition Stadium April 7, 1977, where between the snowflakes they defeated the Chicago White Sox 9-5. Having stocked their major and minor League rosters with prospects rather than veterans, the Jays lost 107 and 102 games their first two American League East campaigns. Their improvement was steady and noticeable from there. With the dawning of the 1980's, pitching prospects such as Dave Stieb and Jim Clancy blossomed into top-flight starters, Damaso Garcia and Alfredo Griffin became a dynamic double play combination and Lloyd Moseby, Willie Upshaw and Jesse Barfield brought some punch to the lineup. The steady improvement led to the Blue Jays enjoying their first winning season in 1983 with manager Bobby Cox. 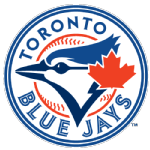 The Jays contended most of the summer before a September slump contributed to a fourth place finish. In 1984 they finished second while introducing a fleet-footed shortstop named Tony Fernandez and adding a big bat to the lineup in George Bell. These additions made the Jays American League East Champions in 1985 with 99 wins. Their climb to the top had been done mostly with home grown prospects and a few well-timed trades. One of those trades was for veteran Doyle Alexander, who contributed 17 wins while Stieb and Jimmy Key won 14 each and the pitching staff led the league with a 3.29 ERA. The offense was balanced; while no one drove in 100 runs, no one had less than 51. In their first post-season appearance, the Jays went up three games to one against the Kansas City Royals in the American League Championship Series, but could not close the deal, losing three in a row. The Jays went through upheaval the next year, with Cox leaving and Jimy Williams becoming manager. Injuries and trades decimated the pitching staff and the Jays finished fourth, although Barfield whacked 40 home runs. Toronto continued to be heard from in the ensuing years, with Bell winning the 1987 Most Valuable Player Award (.308 average, 47 home runs, 134 RBI) and Stieb going 16-8 in 1988, a season in which he lost two no-hitters with two outs in the ninth inning. The lineup now featured bruiser Fred McGriff (36 home runs, 92 RBI, .269 average) to complement Bell (18 homers, 104 RBI, .297 average). The Jays were beaten in the American League Championship Series again, this time by Oakland in five games. It was during this season the club moved into the Skydome (now the Rogers Centre), where sellouts would be commonplace and the team would record unprecedented attendance figures the next few seasons. After a second-place finish in 1990, the Jays won three consecutive Eastern Division titles (1991-93). The 1991 team lost the American League Championship Series to Minnesota, but became the first team to draw four-million fans in one season. The club finally broke through in 1992-93, winning consecutive world championships. Key ingredients in the championship run were Roberto Alomar and Joe Carter, both acquired in a trade with San Diego. Carter was the big gun, hitting 100 homers and driving in 348 runs during those three seasons. His walk-off homer against Philadelphia's Mitch Williams in Game Six clinched the 1993 title. John Olerud and Paul Molitor also drove in more than 100 runs in 1993, and Olerud, Molitor and Alomar finished 1-2-3 in the league batting race. It should also be noted that when the Jays defeated former manager Bobby Cox and the Atlanta Braves in the 1992 World Series, they became the first non-U.S. based team to win a world championship. The next four seasons saw Toronto fall from contention. Their last place finish in 1997 cost Gaston his job. There were some pitching feats of note during this time, however. Pat Hentgen won the Cy Young Award (20-10, 3.22 ERA) in 1996, and Roger Clemens, signed as a free agent, won the pitching triple crown and Cy Young Awards in back-to-back seasons (21-7, 2.05, 292 strikeouts in 1997, and 20-6; 2.65 and 271 strikeouts in 1998). The Jays traded Clemens in 1999 and Hentgen was hit with a variety of injuries, debilitating the pitching staff. The offense did what it could to keep the Jays in the race, especially in 2000 when young slugger Carlos Delgado (44 home runs, 137 RBI, .344 average) came into his own. Six of Delgado's teammates hit 30 or more home runs that season. The team developed other excellent prospects as the new millennium dawned, including Vernon Wells in the outfield and Roy Halladay on the mound. But injuries, lack of pitching depth and the defection of Delgado after the 2004 season prevented Toronto from jelling into a contender. Halladay was traded to Philadelphia for prospects prior to the 2010 season, and Gaston retired to the front office when the season ended. Did you know that on April 9, 1993 , the Toronto Blue Jays set a team record for largest attendance during an Opening Day game with 50,533 fans? On July 20, 1984 , the Toronto Blue Jays set a team record for runs scored during an inning with eleven in the ninth inning versus the Seattle Mariners . The Toronto Blue Jays, on August 9, 1999 , set a team record for hits during a game with twenty-five versus the Texas Rangers .